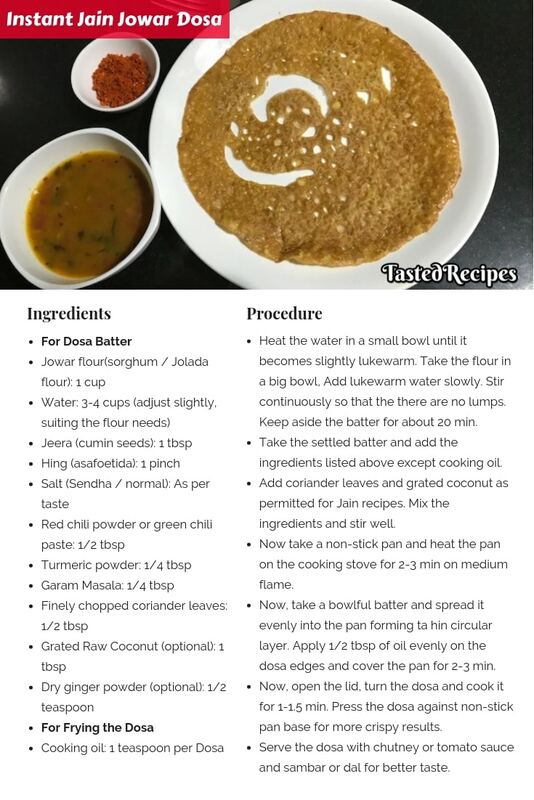 Instant Jain Jowar Dosa an easy to make, a healthy and nutritious recipe for morning breakfast or an evening snack. Jower is high in fiber content, gluten-free food which is rich in protein, minerals, and vitamins. 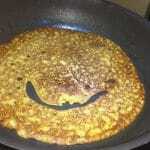 Although jowar (sorghum, jolada) is commonly used to make rotis or bhakris. This recipe extends the benefits and in a more acceptable form for children in the form of ‘Dosa’. 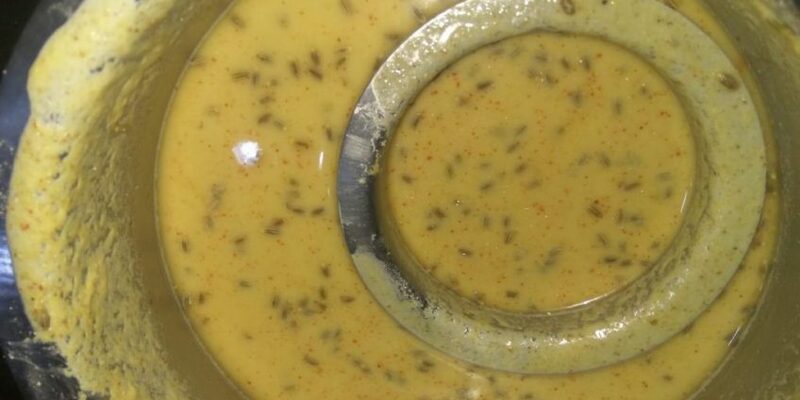 Recipe for our Jain readers, respecting the ingredient regulations on certain festive days. Jowar is also very useful for diabetic people since it is a carbohydrate that gets digested slowly and exhibits a more gradual or predictable increment in blood sugar. Try this recipe and share your views. 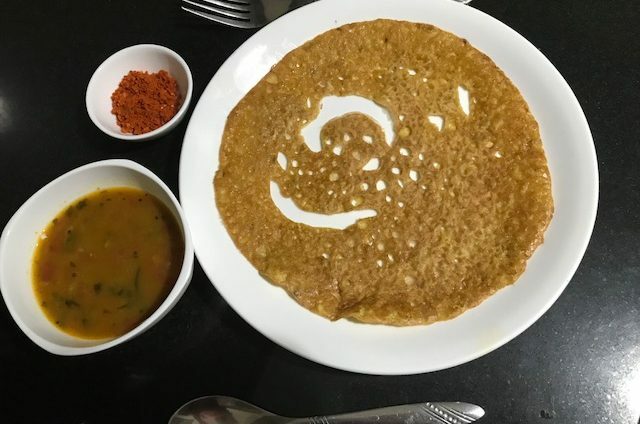 You can also try our Multi-Grain Dosa apart from Jain Jowar Dosa. Heat the water in a small bowl until it becomes slightly lukewarm. Take the flour in a big bowl, add lukewarm water slowly. Stir continuously so that the there are no lumps. 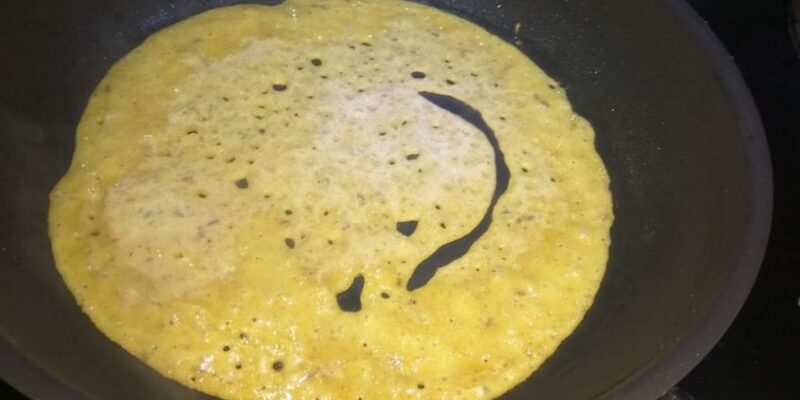 The batter should be thinner than the dosa batter for a more crispy outcome. Keep aside the batter for about 20 min. Prepare the other ingredients while the batter is settling. Take the settled batter and add the ingredients listed above except cooking oil. Add coriander leaves and grated coconut selectively as permitted for Jain recipes. Mix the ingredients and stir well for smooth watery consistency. Adding ingredients in the last helps to retain the freshness and nutrition. Now, take a non-stick pan and heat the pan on the cooking stove for 2-3 min on medium flame. Apply little oil to pan top for better non-stick results. Now, take a bowlful batter and spread it evenly into the pan forming ta hin circular layer. 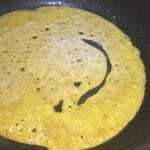 Apply 1/2 tbsp of oil evenly on the dosa edges and cover the pan for 2-3 min. Now, open the lid, turn the dosa and cook it for 1-1.5 min. 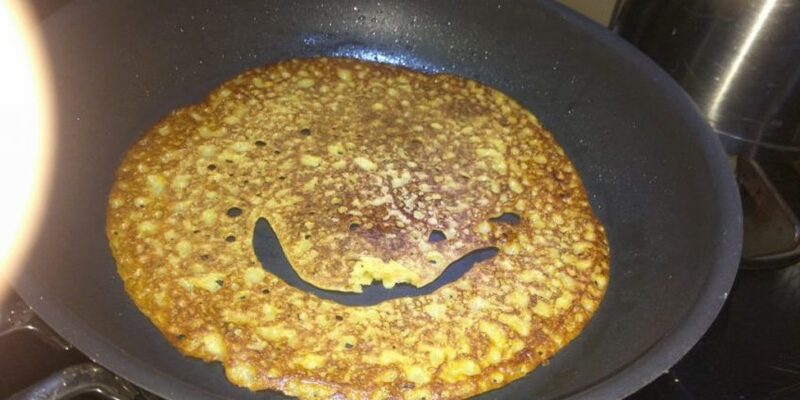 Press the dosa against non-stick pan base for more crispy results. 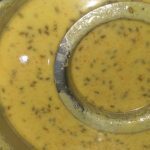 Serve the dosa with chutney or tomato sauce and sambar or dal for better taste.